Welcome to the Planet Honda Finance Center! Shopping for a new car can be a stressful experience, but it doesn’t have to be when you have a knowledgable team to walk you through the process. 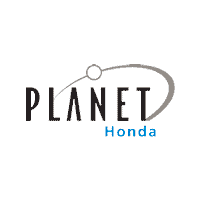 At Planet Honda near Orland, our finance department is here every step of the way, to ensure that you’re able to secure the lease or loan you need to drive home in your new Honda. Looking for a new Honda offer, or simply want to walk through your auto finance options? We can help you with that. Once you have found a model you like in our inventory, you can even apply for financing from the comfort of your own home. We want to help you lock down ideal financing rates on the Honda model you have your eye on. If you have any questions about Honda finance options along the way, feel free to contact us!